Paul Tsuneishi died on Sept. 27. The following is the eulogy I presented on Oct. 18 on behalf of Paul at the church where we were members: The Chatsworth West United Methodist Church. As I stand before you this morning, I am at once saddened by Paul’s death, while at the same time made glad to have this opportunity to share with all of you my remembrances of Paul. I am proud to say he was my friend and mentor. Marion and I have a long history with the Tsuneishi family: We were married by the late Rev. Art 56 years ago, and have been insured by the Tsuneishi agency for just as long. I first met Paul after he had dropped out of church for a few years over an issue that was very upsetting to him and his wife, Aiko. Sometime during the ’60s was a proposition on the ballot dealing with whether it would permissible for a property owner to refuse to rent to someone based on his/her race or ethnicity. The church Paul and Aiko were attending refused to have a program that would address the issue, so they left the church. In 1975 the San Fernando Valley JACL Chapter sponsored a program at the SFV Japanese American Community Center, chaired by Paul, which included civil rights activist Edison Uno, and explored the possibility of pressing the government for reparations for our wartime incarceration. After this panel, Paul organized and chaired EO 9066 Inc., which circulated surveys to assess the community’s interest in redress. 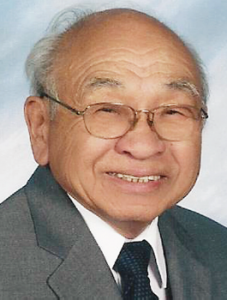 As part of their efforts, the organization sponsored dinners honoring men such as Gordon Hirabayashi, Rev. Herbert Nicholson, and Wayne Collins, Jr.
Because of this work by EO 9066, Paul and I were invited to meet with two other pioneer redress groups at the JACL Headquarters in San Francisco, and provided the framework for JACL’s redress resolution at their national convention in 1978. The redress bill came after 10 long years, resulting in the presidential apology and redress payments to those of us who were incarcerated. Paul was elected president of our San Fernando Valley JACL before being appointed JACL’s Pacific Southwest District governor. During this time, Paul served as JACL’s representative on the Committee of Atomic Bomb Survivors, which concerned itself with getting health care payments from Japan for the 400-500 Niseis who were affected by the atomic bombing in Hiroshima and Nagasaki. These survivors could only get financial aid for their injuries while in Japan. Although Paul had served in the Army, he took up the cause of justice for the draft resisters. These men, as many of you are aware, took the position of refusing to be drafted into the Army unless they and their families were released from the concentration camps. These men wound up spending two years in federal penitentiaries. Paul strongly supported a movement to gain an apology from JACL for condemning these men for the stand they had taken. 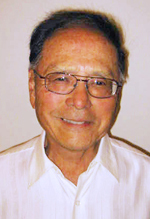 He advocated and supported two panel discussions in Los Angeles, consisting of the resisters, prior to a National JACL Convention in 2000, which after much contentious debate finally granted an apology to these men. Paul was responsible for bringing to this church to speak the late Frank Emi, Yosh Kuromiya and others resisters. In addition, he flew in from Colorado the late James Omura, editor of The Rocky Shimpo, who was also condemned by JACL for writing strong editorial support for the resisters. Paul was featured in a DVD concerning the draft resisters, “A Community Divided,” and in the late 1990s co-chaired a testimonial program honoring a Nisei author, the late Michi Weglyn. I was very impressed when I learned that Paul flew to various parts of the country to interview Niseis who played an important part of our Japanese American history during World War II. This he did at his own expense, and after personally transcribing the interviews, Paul donated the transcripts to the Japanese American National Museum. Paul showed a lot of compassion for LGBTQ persons. He became an enthusiastic supporter of PFLAG (Parents and Friends of Lesbians and Gays) and marched as a member in their Hollywood parades. In 1997, Paul chaired a LGBTQ panel held at the Centenary UMC. He also invited Al and Jane Nakatani, parents of two gay men, to speak at our church. Paul and his family had been long-time residents of Sunland, and he recognized the importance of memorializing the World War II detention camp that was set up in Tuna Canyon at the outset of the war. He was a strong advocate for establishing Tuna Canyon as a historical landmark. A few here today are members of this Chatsworth West United Methodist Church. For years we survived as a non-denominational church, until Paul single-handedly negotiated with key United Methodist Church officials, resulting in our United Methodist charter, which we have had since 1988. He volunteered, regularly, at a homeless kitchen located at a United Methodist church in North Hills. My association with Paul Tsuneishi changed the course of my life, and has caused me to adopt this verse as my favorite, as well.